Log in to DAP Dashboard and go to the “Products/Lists” page. Click on “Add Selected Posts/Pages” to protect the posts/pages. The post(s)/page(s) will now show up on the right-hand side of the box. 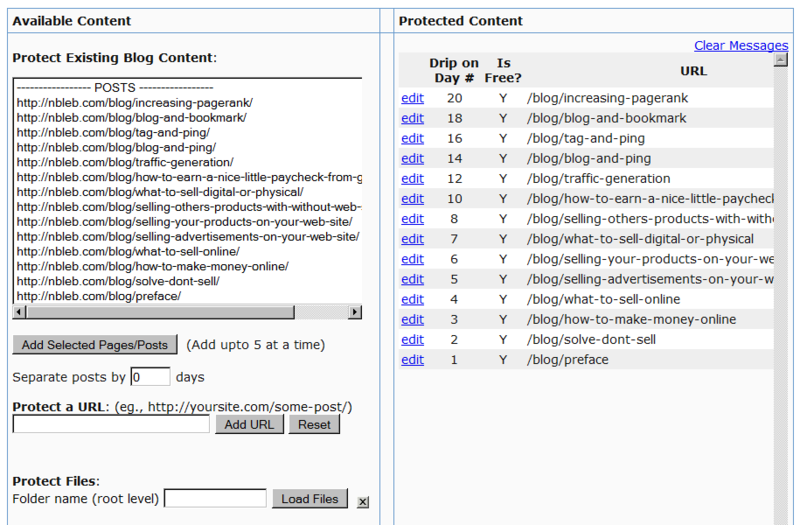 Click on “edit” next to each link to configure dripping for individual posts/pages. Click “Save”. All other fields are optional. You are now in “Edit” mode of product “Test Product 123”.